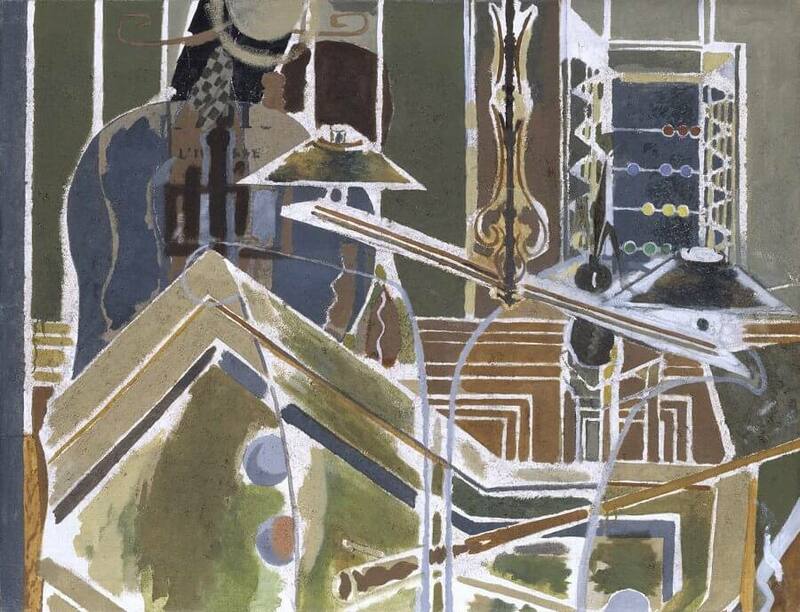 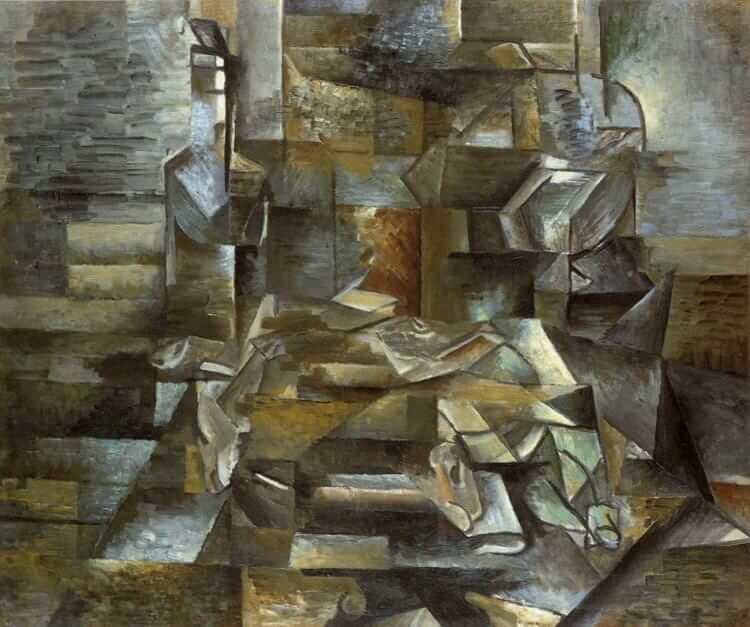 Braque depicted both bottles and fishes throughout his entire painting career, and these objects stand as markers to differentiate his various styles. 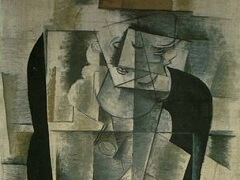 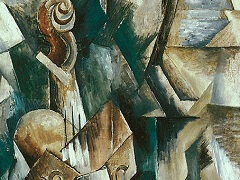 Bottle and Fishes is an excellent example of Braque's foray into Analytic Cubism, while he worked closely with Pablo Picasso. 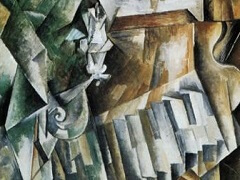 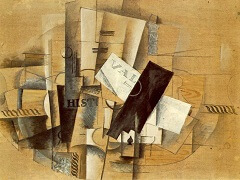 This painting has the restricted characteristic earth tone palette rendering barely perceptible objects as they disintegrate along a horizontal plane. 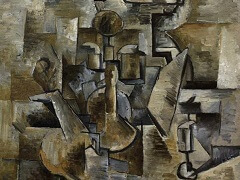 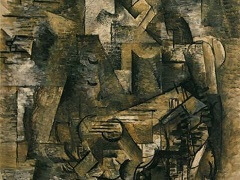 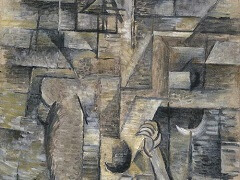 While there are some diagonal lines, Braque's early paintings tended to work vertically or horizontally.